To illustrate customer journeys in PowerPoint by using experience maps. 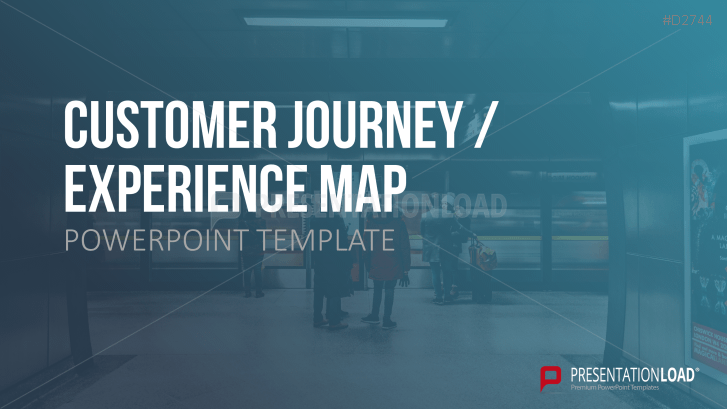 The PowerPoint template collection includes definitions, layouts and examples of professional Customer Experience Maps. Customer experience management is based on customer-oriented principles: it focuses on the customer’s experience with the end product and CEM seeks to comprehend his expectations and to create as many positive touching points as possible. The final goal of customer experience management is to turn happy customers into advocates of the respective brand/ product. User Experience Maps (or Customer Journey Maps) enable you to track customer experiences and to draw outlines from their first contact with the respective brand until the ultimate disposal of the end product. All individual touching points will be evaluated and rated with an either positive or negative user experience (by using differently colored icons, for example). Thus, a map of the product experience evolves which exemplifies potential obstacles in regard to customer interaction. This PowerPoint set offers many tools and graphics that you need for implementing customer experience management concepts. To create professional Experience Maps, you will be provided with numerous definitions, icons, quotes and Experience Map examples which can be easily adjusted and filled with your own business ideas. I initially didn’t think about using PPT to making improvement plans to our online shop, but it has proved to be quiet useful especially in discussing various ideas and strategies. Also, I like the new product video – great overview of how you can use the set.